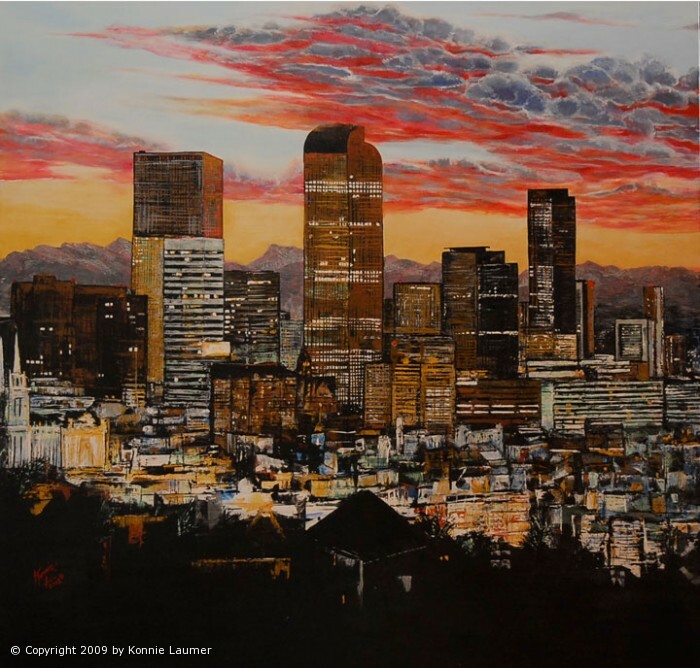 Konnie Laumer is a self-taught painter from Denver, Colorado exploring figurative and abstract art through acrylic, iridescent, and metallic paint. 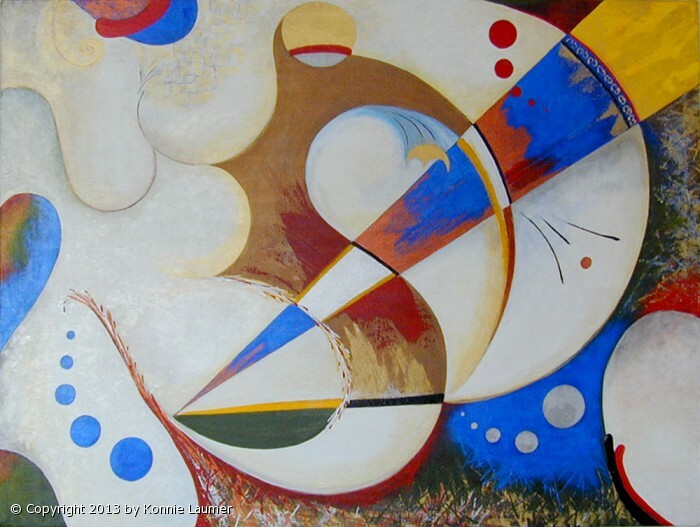 Her work can be found online at http://www.artbykonnie.com/. When did you begin painting, and how did you settle on becoming a painter? I’ve been creating art since I was a child. My father was very artistic and saw that I had an interest at an early age, so he started helping me and teaching me how to draw people and the basics of perspective. I picked up on it very easily and was a natural. Then, after I graduated from high school, my aunt gave me lessons in painting. I was hooked. I didn’t start showing and selling until around 2007. 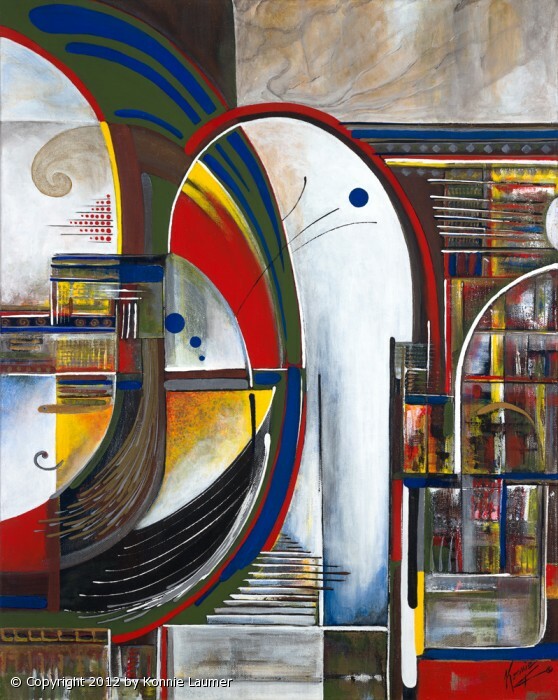 I was freelancing as a web and graphic designer and just got fed up with bad paying clients, so I started pursuing my painting at the urging of friends and family. Then I showed as much as I could wherever I could. As soon as I sold a few pieces, I was hooked. How do you start your realist paintings? Is it any different from how you begin your abstracts? My realistic city scenes are drafted out in pencil on canvas first, measuring every line and calculating with a reduction wheel that converts the size. This is very time consuming and can take days before I put any paint down on the canvas. This way, I don’t have to guess if I’m getting it right and I can focus on the colors, shadows, lines, and technique. My portraits just take constantly looking at the photo or subject, back and forth while painting, until I see my subject materialize on to the canvas. Sometimes it feels like magic. Before I know it, I’ve captured the subject’s soul, which usually reveals itself through the eyes, be it animal or human. 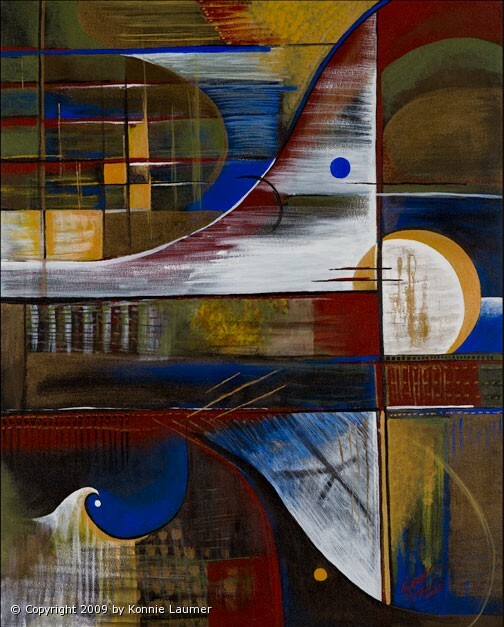 My abstract work is quite different with each technique. Some are free flowing, paint in the moment. Others are somewhat drafted out, first with a primer blocked out in black and white. This way I get rich, dark areas and bright, light areas. For example, blues look much different laid on black than they do when painted on white. The same goes with all the colors, metallic, and iridescent paints that I use. 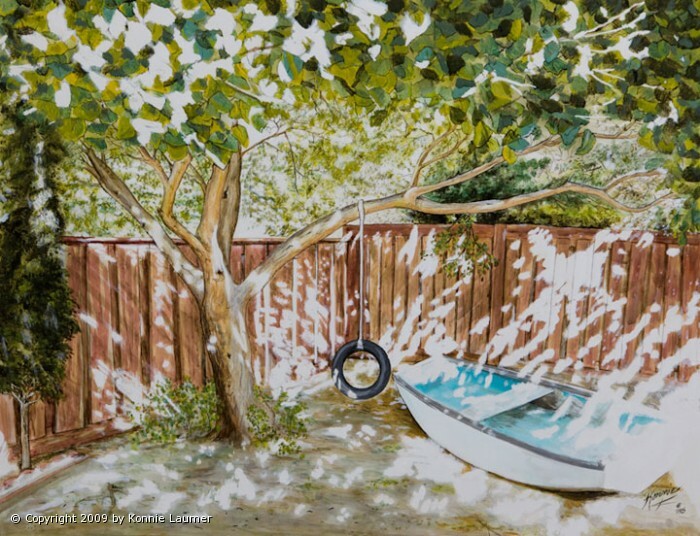 How do you find your subject for a painting? Is this process usually conceptual or intuitive? 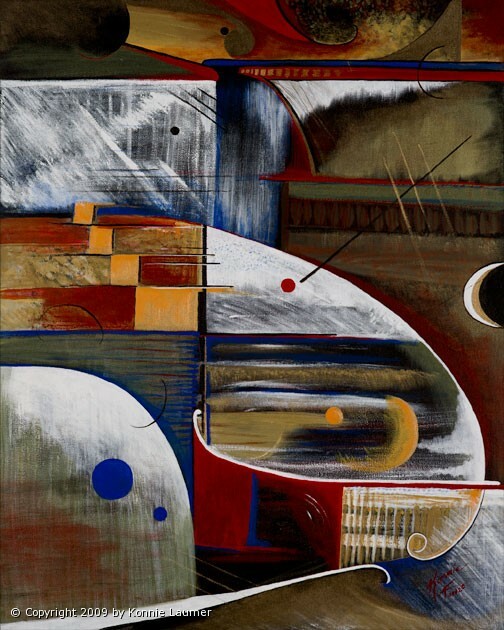 I see a photo that jumps out at me, or a color pallet from something I see that screams “this needs to be put on canvas.” Some of my best abstract pieces were just spontaneous and flowed with the music I was hearing at the time, like a two panel piece I did when I had my studio. Another studio in the gallery was practicing live, funky, jazzy music. That painting just flowed out of me while I listened to the great sounds. So, I guess you could say both. You mentioned your use of metallic and iridescent paints. How do you feel the qualities of these paints affect your work in ways that traditional oil or acrylic paint might not? The reflective nature of metallic and iridescent paint is seen differently in day and at night, depending on the lighting giving a different feel at different times of day. Using them is sort of a signature style I’ve developed mainly because the reflective value they contribute to a painting is something you just can’t achieve in any other way. I love challenging myself to paint sometimes entirely with metallic paints other than the use of black and white, like in my wildlife paintings. Nearly all of the animals, as well as the surreal cityscapes, were painted with gold, bronze, copper, and array of silver tones. Although more difficult to have scanned for prints, when you’re buying an original from me, you know you have the original because the metallic paint would cost a fortune to get printed and would never translate the same way as the original. I noticed that you offer painting instruction together with art parties. Have you found this an effective way to balance the commercial and personal sides of your art? I offer instruction because I love sharing the experience of painting and find it very rewarding to show people that we all have an artist hiding inside each of us. Most left-brain thinkers believe they have no talent whatsoever and are pleasantly surprised to find it a very rewarding and freeing experience. The art parties are a great way to get together with your friends, do something new, and show off a hidden talent you never knew you had. 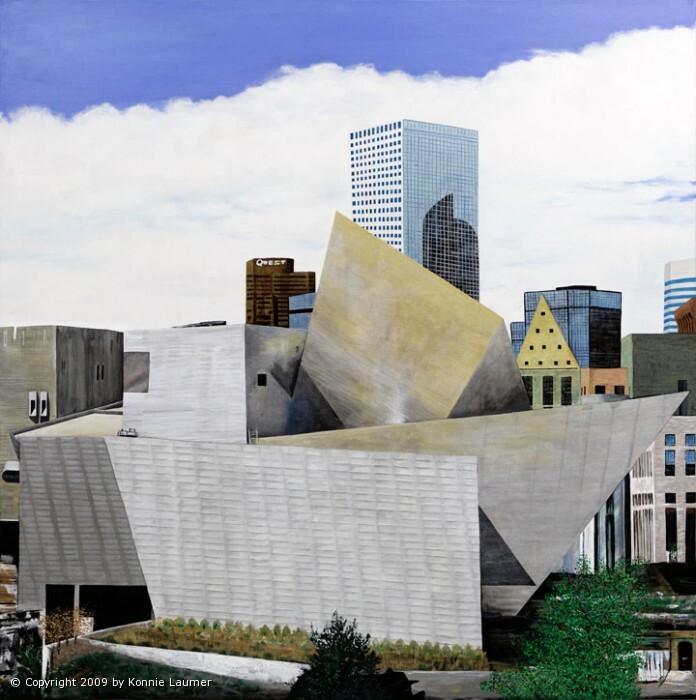 Have you found the Denver art scene particularly accessible? 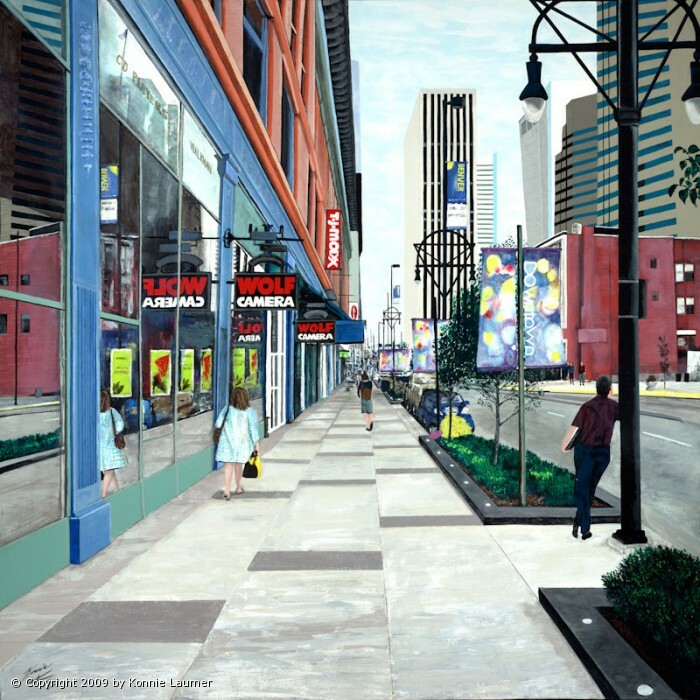 Do you ever feel limited by living in a relatively small art market? Denver has a great art community with some amazing talent floating around in surprising places. I have trouble with accepting the way some galleries charge so much for wall space to show art. They become less picky on what they show, and artists with so-so talent pay the gallery bills while rarely selling anything. I feel the art market is what you make it. If you produce great art, at some point it will sell no matter where you are. The internet has done great things to improve the ability to sell wherever you are. You just have to think outside the box at every turn. It is a never-ending process to market yourself and your talent. You need to be willing to open every door of opportunity when it comes your way. Pay for space consignment does seem to be unfortunately prevalent here in Denver. Unfortunately it is not only Denver, but now is becoming a standard practice with many galleries around the country, which I feel is a shame. As with any industry, sometimes you have to pay to get exposure. 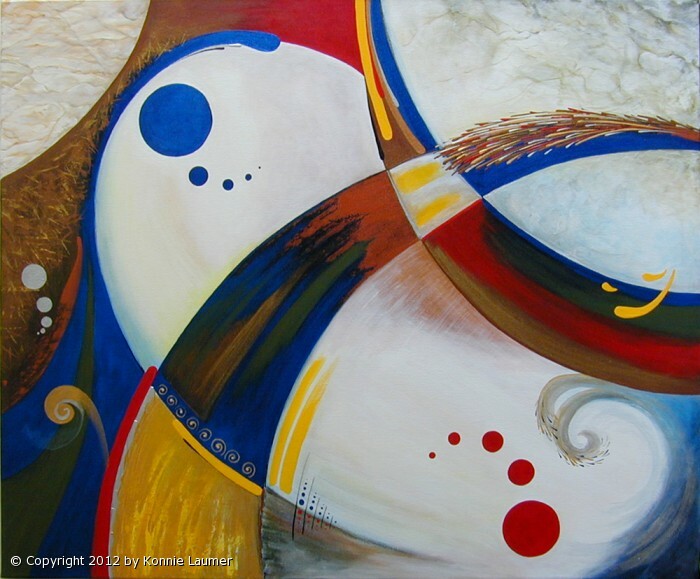 Please view Konnie Laumer’s artwork online at http://www.artbykonnie.com and “like” Critique Collective on Facebook at http://www.facebook.com/critiquecollective.